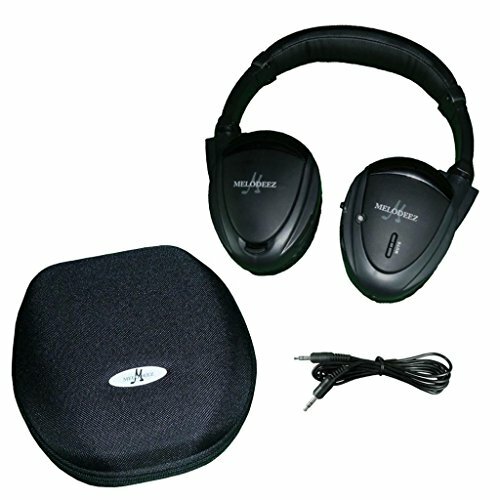 You will receive 1 Wireless two channel Infrared headphone with case and Auxiliary cord. Headphone is compatible with all vehicles with a factory or aftermarket DVD/Video System that uses IR (infrared) technology. Headphone also has a headphone jack and comes with a 3 ft Auxiliary cord to use on any device with a standard 3.5mm port such as: Smartphone, Tablet, Leap pad and even on an airplane! Each headphone also comes with a durable zippered case. 2 Channel for vehicles with one or two channel systems. Headphones adjust in size so they will fit small children and adults. On/Off Switch with automatic shutoff after two minutes of inactivity. Uses 2 AAA batteries when used wireless, no batteries required when used with the auxiliary cord feature. Soft padded earpieces for hours of comfortable listening. Volume control and Mute push button so listener can easily disable the sound. No programming or set up required, unit will pick up the audio in your vehicle as soon as the movie begins.